The Pentagon has refused to “publicly speculate on possible scenarios” of military action again North Korea, neither confirming nor denying reports that the US navy is positioned within striking distance for preemptive action if Pyongyang tries to conduct a nuclear test. “Commanders are always considering a full range of options to protect against any contingencies,” Pentagon spokeswoman Dana White told Reuters in a statement. “Our commitment to the defense of our allies, including the Republic of Korea and Japan, in the face of potential threats, remains steadfast,” she added, giving no further comment’s in line with the Pentagon’s policy of not discussing future operations or speculating on possible military scenarios. Earlier on Thursday, US intelligence officials reportedly told NBC News that the US has positioned two destroyers armed with Tomahawk cruise missiles close enough to the North Korean nuclear test site to act preemptively should the Pentagon become “convinced” that a nuclear detonation is imminent. And while the secretive “big event” on Thursday turned out to be the opening ceremony of a new skyscraper-lined street in Pyongyang, speculation continued that the North has scheduled more “events” for the weekend. — RT (@RT_com) 14 апреля 2017 г. North Korea is currently preparing for its biggest national holiday. Dubbed the ‘Day of the Sun,’ it marks the 105th anniversary of the birth of state founder Kim Il-sung, the grandfather of the current leader. 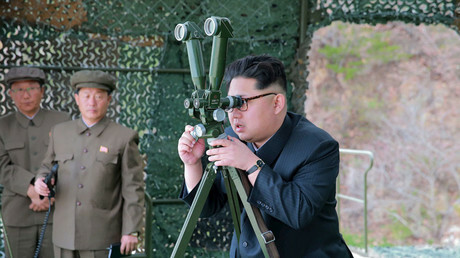 Last April, North Korea test-fired its Musudan intermediate-range missile on the occasion of Kim Il-sung’s 104th birthday. South Korea has meanwhile cautioned the US against rushing into unilateral action, saying, that while they believe the North constantly maintains a state of readiness to conduct nuclear test at any time, there were no new signs indicating that Pyongyang is preparing such a test. Japan also asked Washington to consult with them before taking any action against Pyongyang. 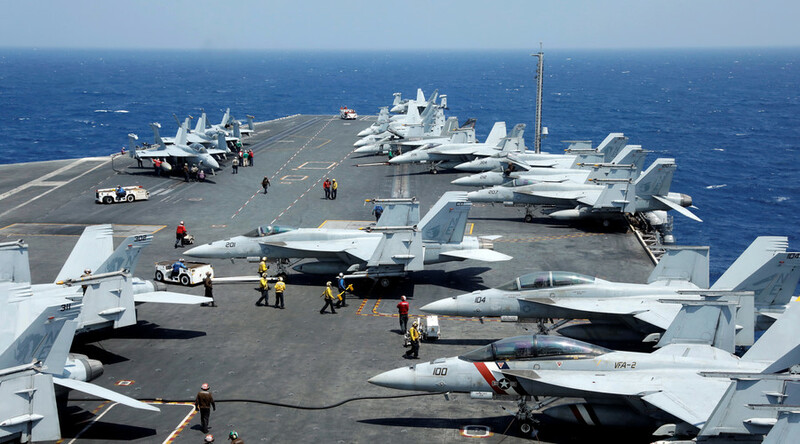 China has warned the US that taking military action against North Korea will be “much more risky than launching a missile strike on Syria,” according to an editorial in the influential newspaper Global Times, which is published by the Chinese Communist Party People’s Daily. Tensions are mounting in the region as US President Donald Trump said he would solve the “North Korean problem” with or without China’s help. 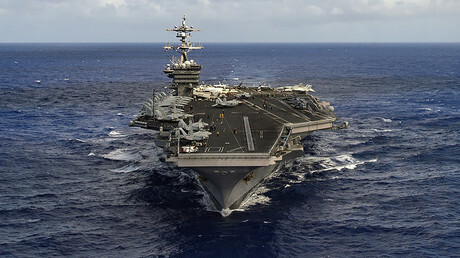 The warning came amid the diversion of the aircraft carrier group ‘USS Carl Vinson’ to the Korean Peninsula and a week after Trump ordered the US Navy to fire a barrage of 59 Tomahawk missiles at a Syrian airbase. — RT (@RT_com) 12 апреля 2017 г.